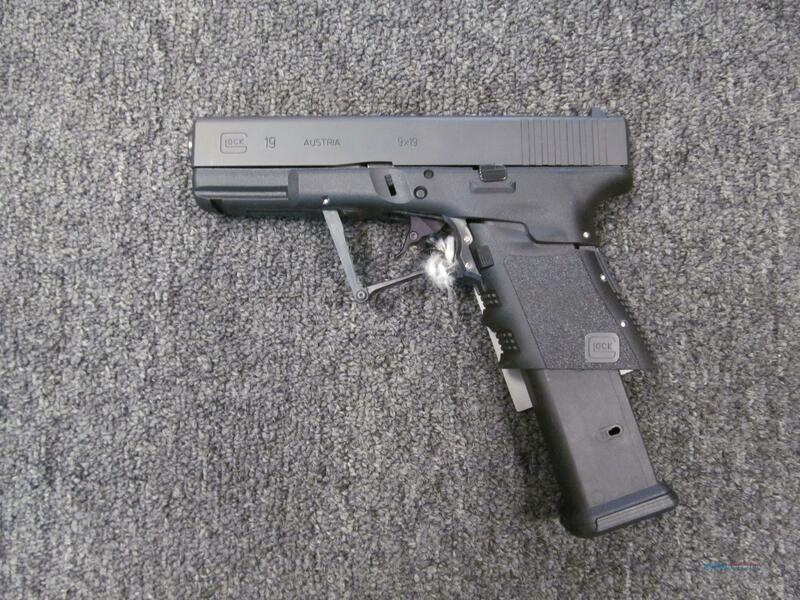 Description: This brand new Glock 19 'Full Concealment' is chambered in 9mm and has a 4" barrel. This gun has a standard Glock 19 slide, short Glock 26 sized grip that completely folds forward with the push of a button. It comes with one 21 round magazine, but will fit any Glock 9mm magazine 15 rounds or larger. It comes with a hardcase, lock, manual, bore brush, and 'Full Concealment' enhancements.